ALK POSITIVE SEEKS TO PARTNER WITH ENTITIES WHO ARE FURTHERING ALK-positive lung cancer TREATMENT, AS WELL AS MEDICAL PROFESSIONALS THAT PLAY THE VITAL ROLE OF FIRST CONTACT FOR NEW PATIENTS. A priority for ALK Positive is to fund proposals that seek to overcome or prevent the mechanisms of resistance that develop with all ALK-positive lung cancer targeted therapies. By overcoming or preventing resistance, we hope to transform ALK-positive lung cancer into a manageable, chronic condition. If you are a researcher or other potential partner, please contact us here. Up to $600,000 awarded to researchers. Help your patients learn the basics about ALK-positive lung cancer, including treatment options. 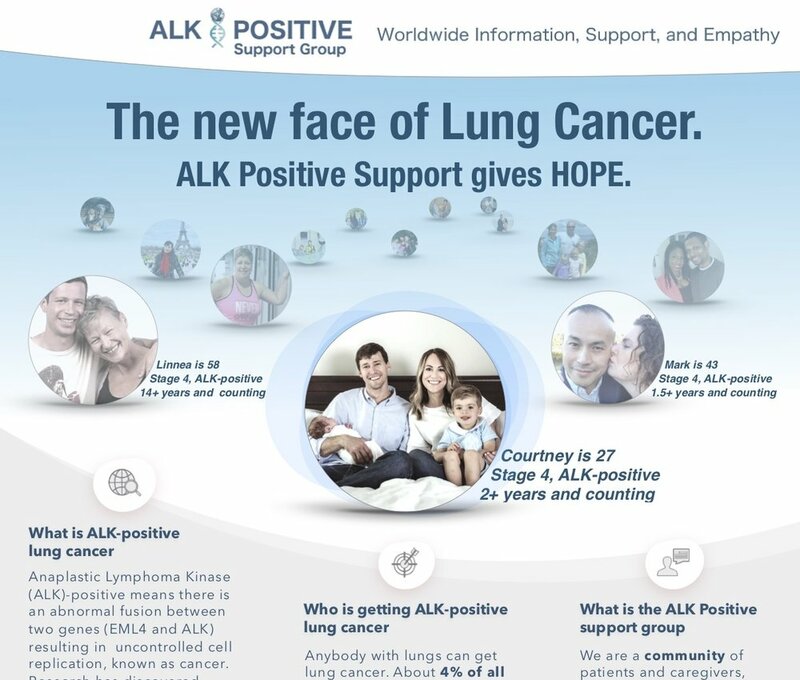 This brochure was made by ALK Positive, for ALK-positive lung cancer patients. It is great for the newly diagnosed and those looking to learn more about this rare disease.